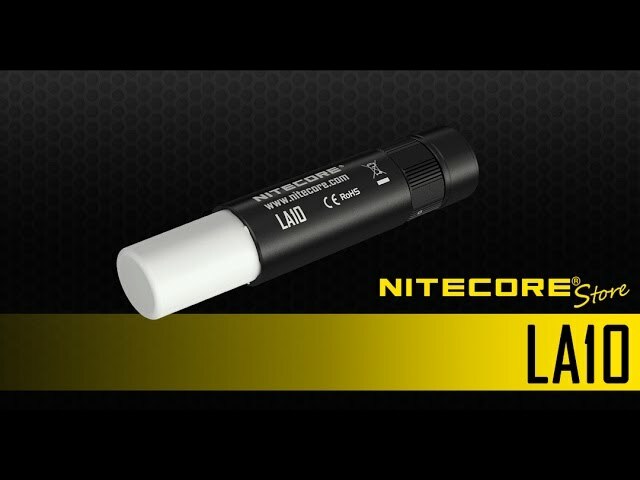 The Nitecore LA10 is a waterproof mini camp lantern and combination flashlight. Small as a tube of lipstick, it's compact, lightweight and easy to use with one hand. The body is constructed of high quality aluminum alloy, so it's very tough, and durable. This light is highly versatile and extremely bright for it's size, making it an excellent addition to the car, range bag, office drawer, go-bag or medical kit.